"promoting fun with horses thru leasing to camps and sales"
Rustic Man Farm officially began in 1982 with lessons to local children and adults at our home on 50 acres in Taylor Valley. 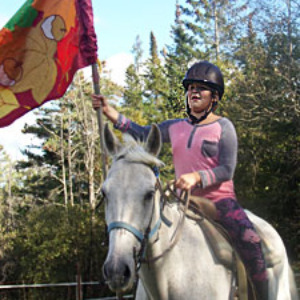 Shortly thereafter a camp who was sending campers to the farm asked to move their horseback riding on site. So quite by accident, our lesson programs morphed into a horse leasing and horse sales business. Our location was quiet, private with great trail access but challenging to get to during mud season and winter. When we started leasing and selling horses in 1984, with only 25 open acres, the space limitations soon became apparent. In 1999 the farm finally moved to our new current more easily accessible location on Route 113 (a paved road) 2 miles west of the Vershire post office. 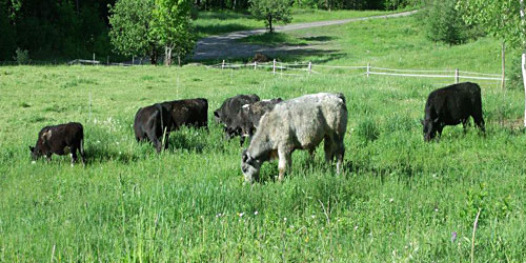 Situated on 147 acres of abandoned hillside fields and tree lined fence rows, Rustic Man Farm has several brooks, two small ponds and abundant wildlife including deer, turkey, coyotes, bear and moose and too many ground hogs. A small barn and a versatile shed barn with 3 pony size stalls is several hundred feet off the horseshoe driveway and parking area. Paddocks, round pen and trail obstacles as well as a large riding ring are conveniently located near the barn. A long gravel roadway winds from the road barns across a small bridge to a generous parking area, new sugar house and up to the top of the hill and our log cabin surrounded by pasture and our horses. maple production . 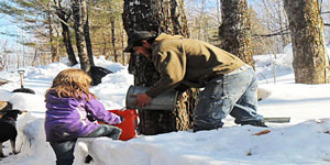 With all the new state requirements for safe production, Will built his new sugar house that has all the new technical devises to make the best maple syrup from the trees on the farm. Daughter Lara has moved on with many pursuits including writing Books. 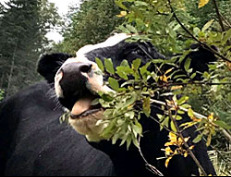 (How Do You Milk a Moose & Lie after Lie) learn more on Facebook But we all think she could get rich by writing a best seller on our adventures while living on our farm. Granddaughters Taylor and Brook have become excellent horsewomen so we will see what the future brings for this generation. School first however. Perhaps I will be able to retire and write my own book. © 2019 rusticmanfarm All rights reserved.